Real! Live! Cats! 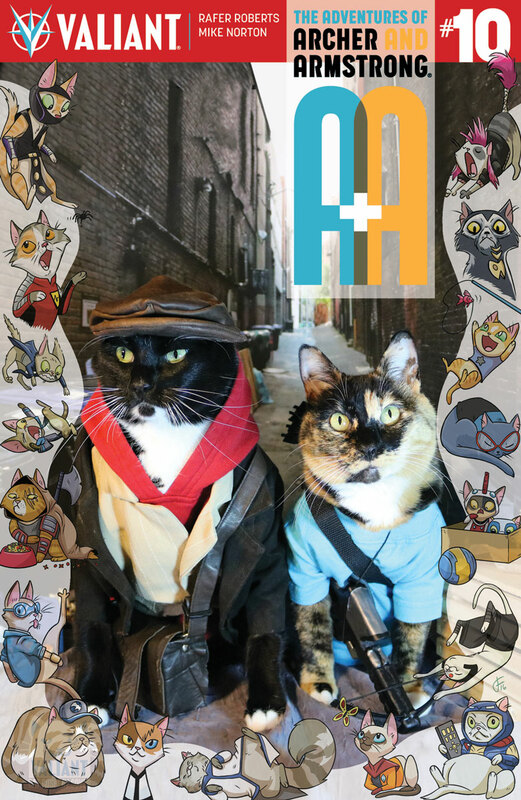 Seattle’s Comics Dungeon to Host Signing with VALIANT CAT COSPLAY Stars Fawkes & Nak in December! 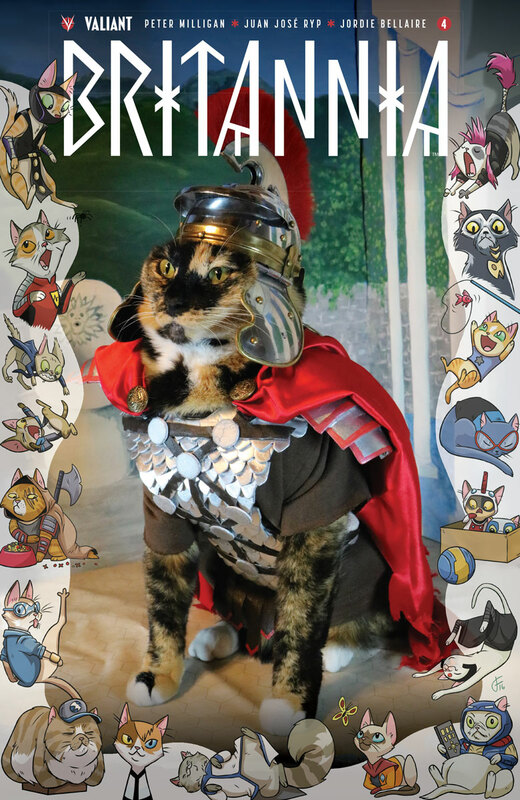 Across the millennia-spanning arc of human history, mankind has celebrated many triumphs. 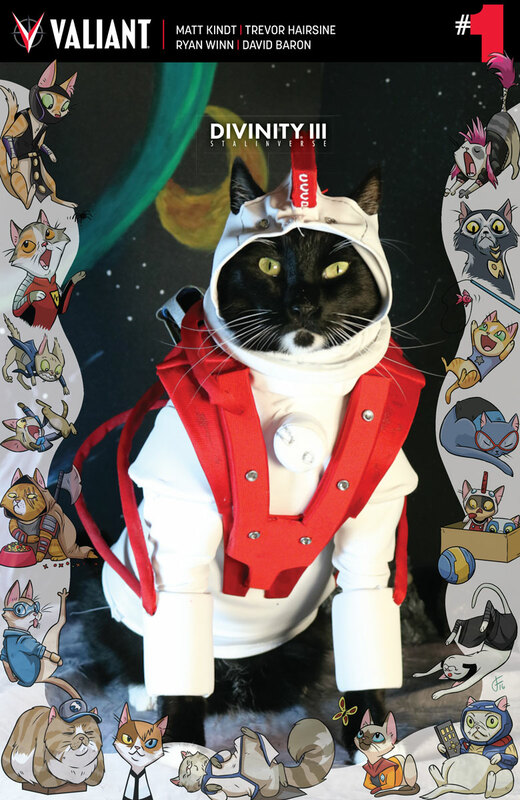 But, from the pyramids to the moon landing, they all now pale in comparison to the landmark achievement that Valiant has bequeathed unto civilization…with VALIANT CAT COSPLAY COVERS! 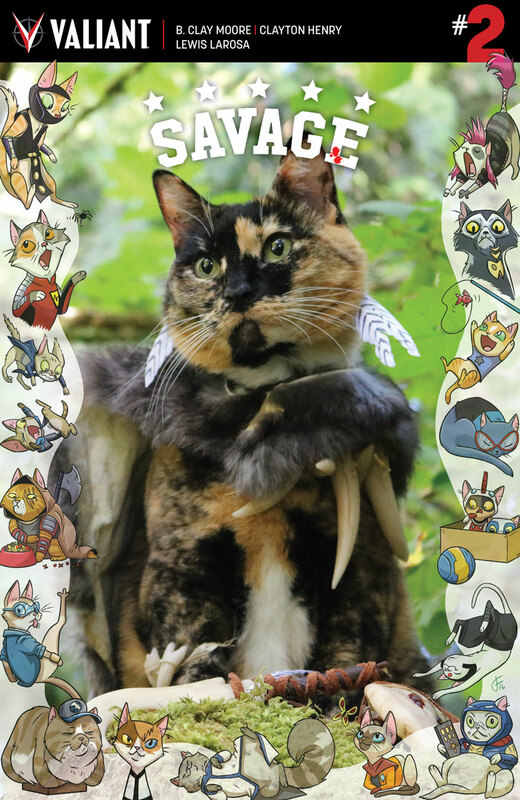 To mark this most momentous occasion, Seattle’s Comics Dungeon will be officiating the December release of this all-new line of shelf covers with a live, in-person signing featuring stars (and real-life felines) Fawkes and Nak, alongside Freyu – creator of the Cat Cosplay of the Feline Variety blog and trusted human – on Saturday, December 17th! 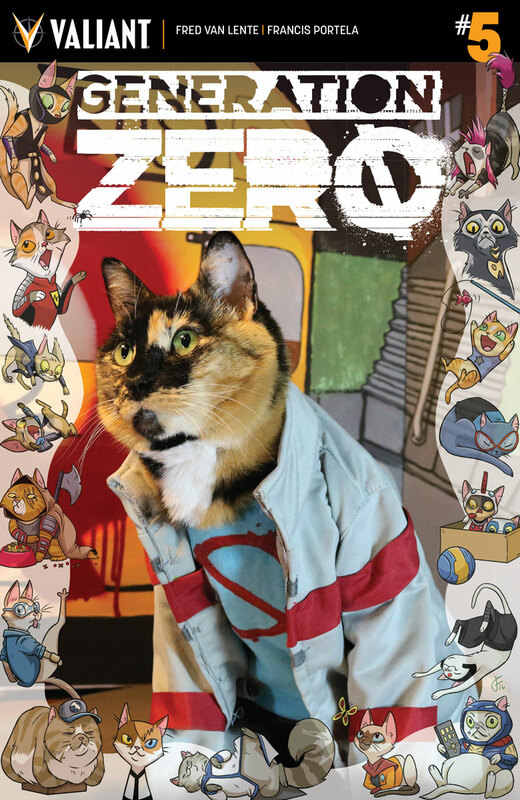 From 12:00 pm to 4:00 pm PT, meet the stars behind the purr-aculous covers gracing each of Valiant’s releases throughout December, pose for photos, and get your VALIANT CAT COSPLAY COVERS paw-printed for all eternity by the legends themselves! 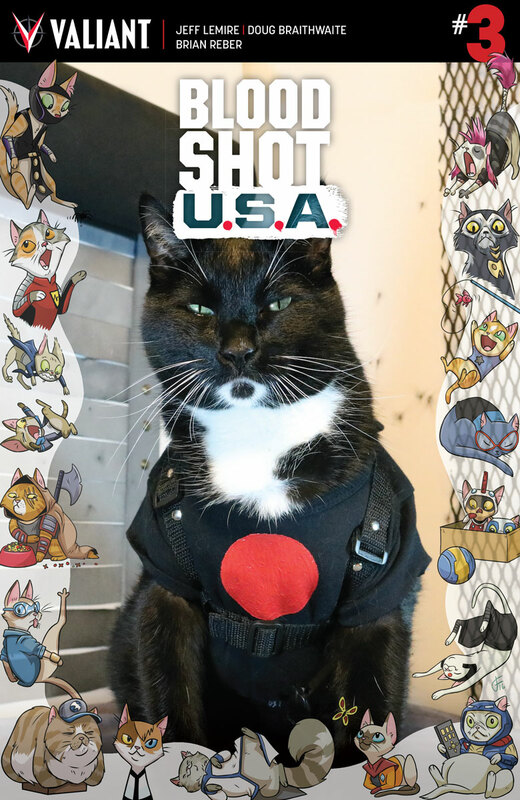 Arriving in stores this December, bear witness as ordinary, household feline companions are transformed into the world’s most valiant heroes for a fur-bulous new line of shelf photo covers spanning 10 best-selling series! 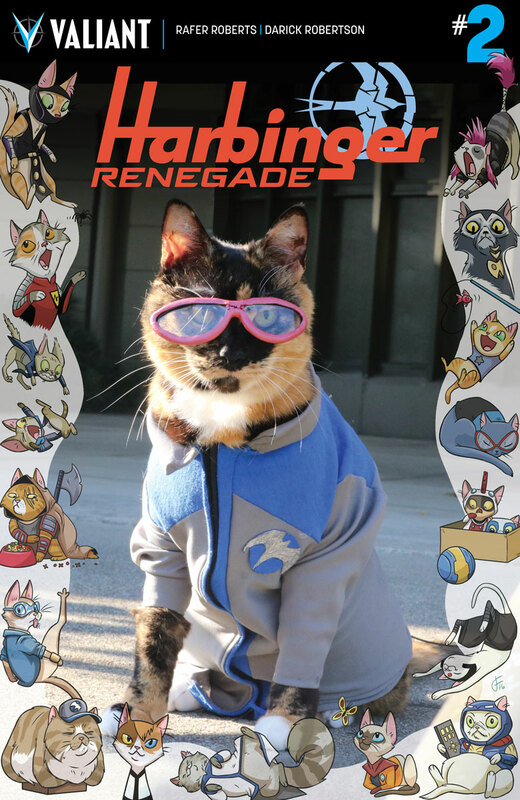 From teenage martial arts master Archer to reality-warping cosmonaut Divinity to sky-soaring sensation Faith and MI-6 super-spy Ninjak, each VALIANT CAT COSPLAY COVER captures a furried friend pouncing into action as one of Valiant’s leading heroes inside a custom-built costume – tailor-made and photographed by the minds behind the Cat Cosplay of the Feline Variety blog. 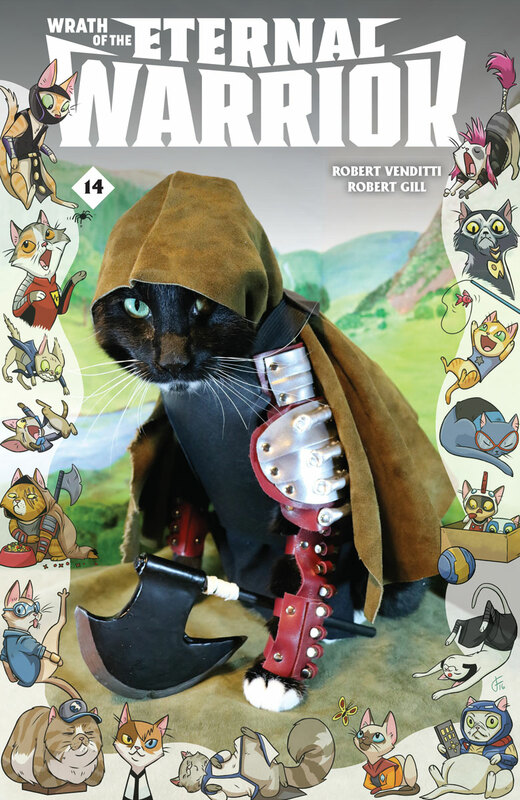 A portion of the proceeds from all VALIANT CAT COSPLAY COVERS sold will benefit the Brooklyn Animal Rescue Coalition (BARC), a New York-based non-profit that operates a beloved, no-kill shelter for cats and dogs in Brooklyn’s Williamsburg neighborhood. BARC’s mission is to provide a safe haven for abandoned animals – with quality food, shelter, medical attention, and the love they deserve – and to find permanent loving homes for them. 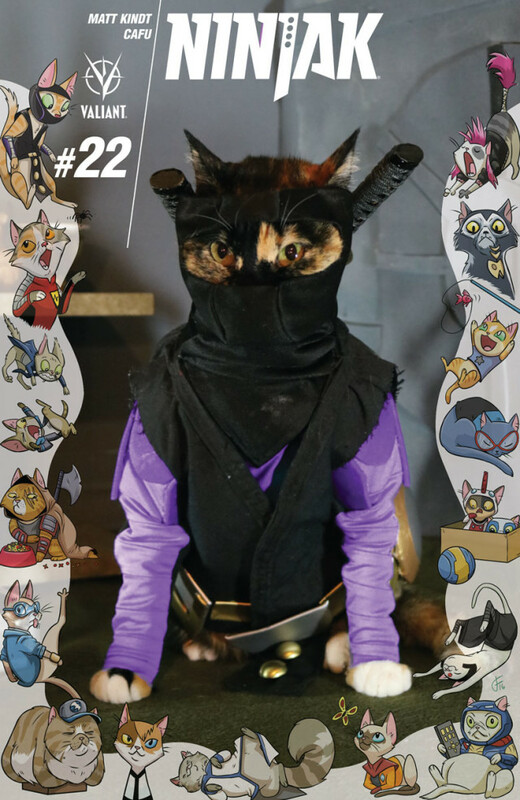 Designed by the Cat Cosplay of the Feline Variety blog – the gold standard of the “cat cosplay” genre that also boasts a legion of fans and followers across Tumblr, Instagram, Twitter and Facebook – Valiant’s VALIANT CAT COSPLAY COVERS mark their first officially sponsored collaboration between CCFV and a comic book publisher or entertainment company. They’re intrepid! They’re fearless! 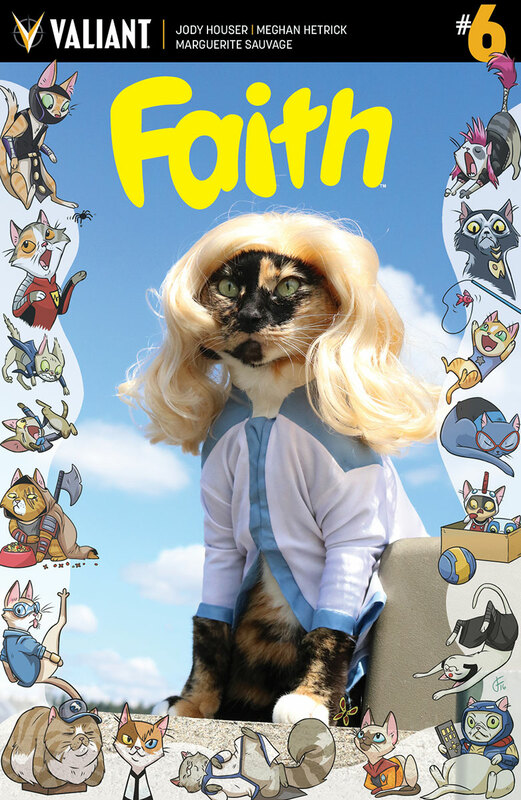 They’re cats! This December, the animal kingdom is invading the Valiant Universe with VALIANT CAT COSPLAY COVERS! 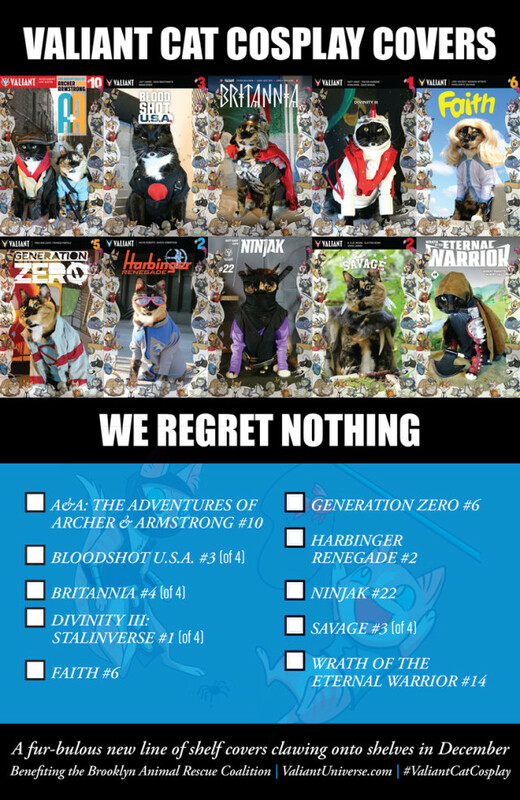 Pick up yours…then be there when Seattle’s Comics Dungeon hosts the comic book signing of nine lifetimes, only on December 17th!